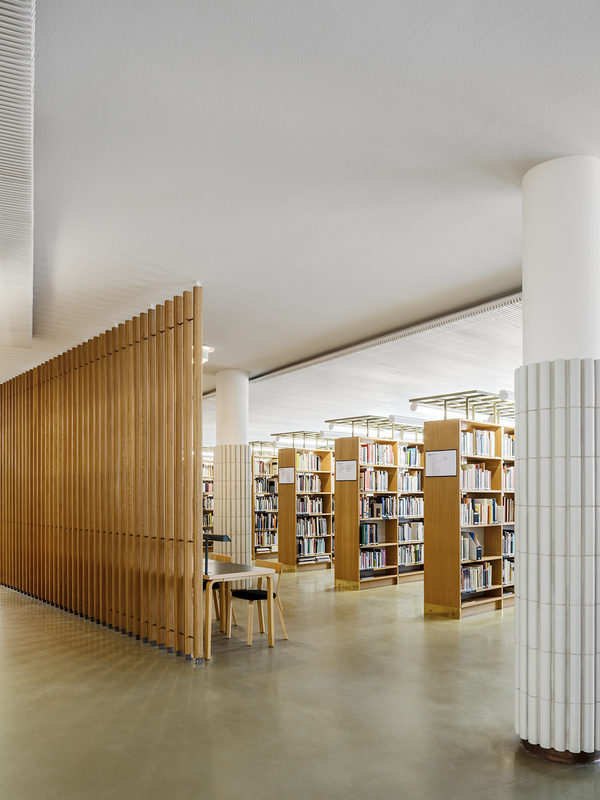 Harald Herlin Learning Centre, designed by Alvar Aalto, caters for students', personnel's and the greater public's interests in learning and research. Visit the dynamic and vibrant building and be inspired! 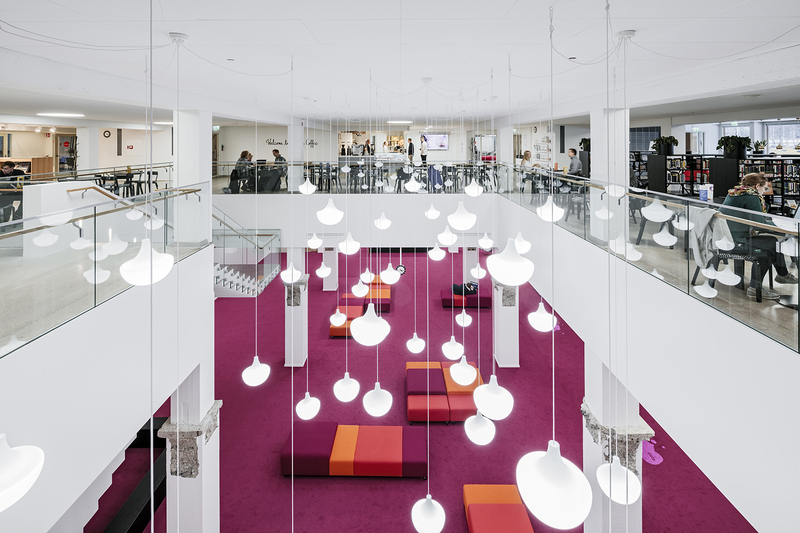 Harald Herlin Learning Centre customer service hours: Mon–Thu 9.00–18.00, Fri 9.00–16.00. Tori on the ground floor and the lower floor K are open daily 7.00–24.00 for students and staff members. 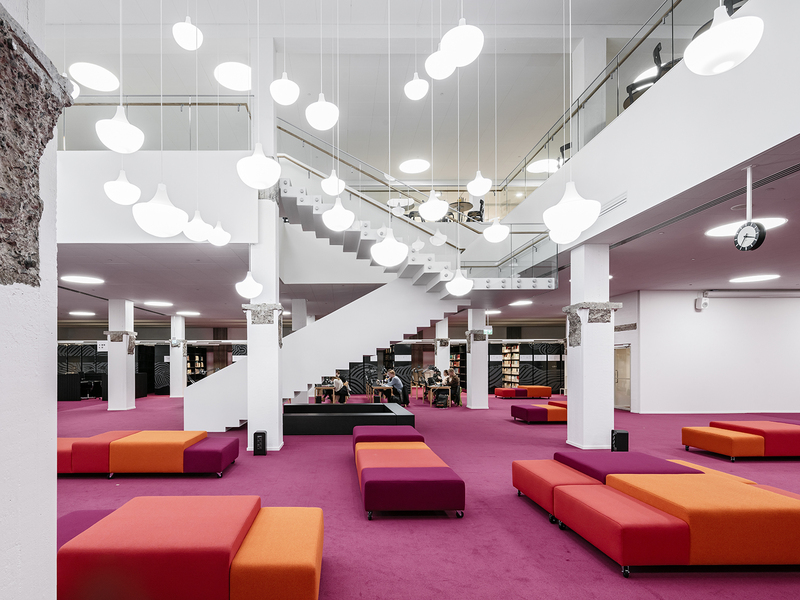 Otaniemi's library building was renovated and re-opened in Autumn 2016 as a multi-functional and modern Harald Herlin Learning Centre. Dynamic spaces support multi-disciplinary new types of learning, research and work. 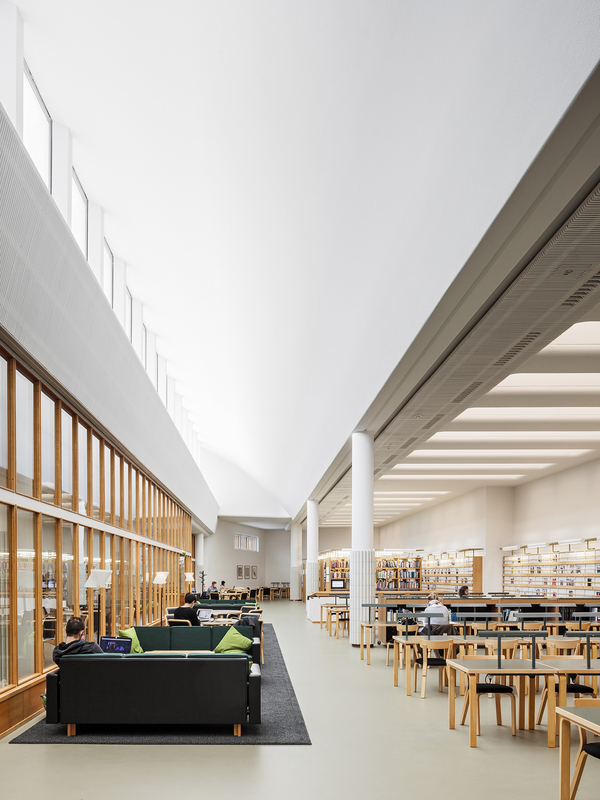 Harald Herlin Learning Centre and the Undergraduate Centre form one of Alvar Aalto's most important architectural building compilations. 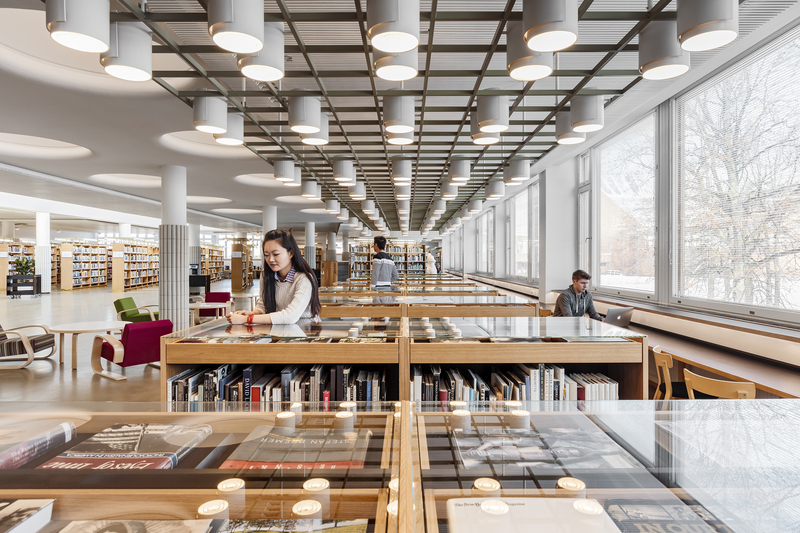 Through digitalisation many library spaces in Harald Herlin Learning Centre have been converted to different user-oriented services. 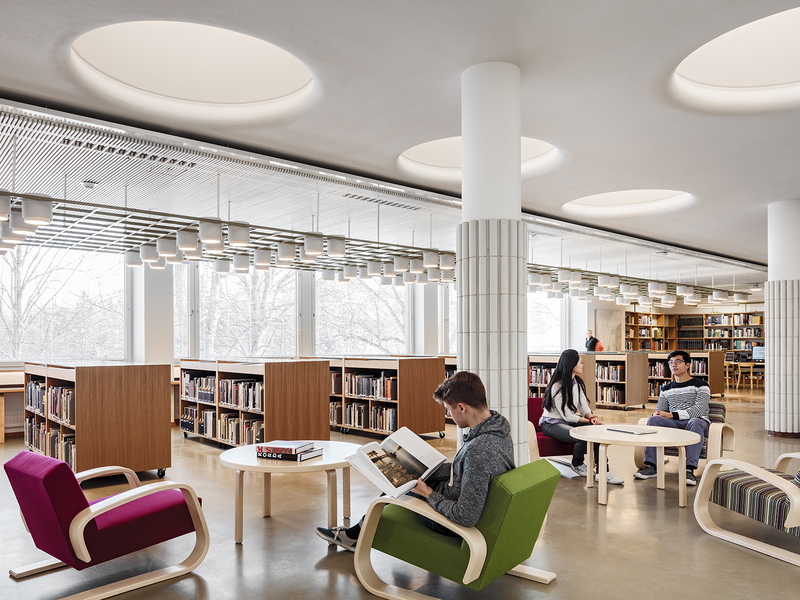 Services in the learning centre are placed thematically: the protected first floor functions as a a library and reading room, and the ground floor houses Tori with its media walls and cafes. New media services are on the lower floor. Harald Herlin Learning Centre also houses the Visual Resource Centre with its image bank, studio spaces for recording lectures etc., as well as several study, meeting and exhibition spaces. 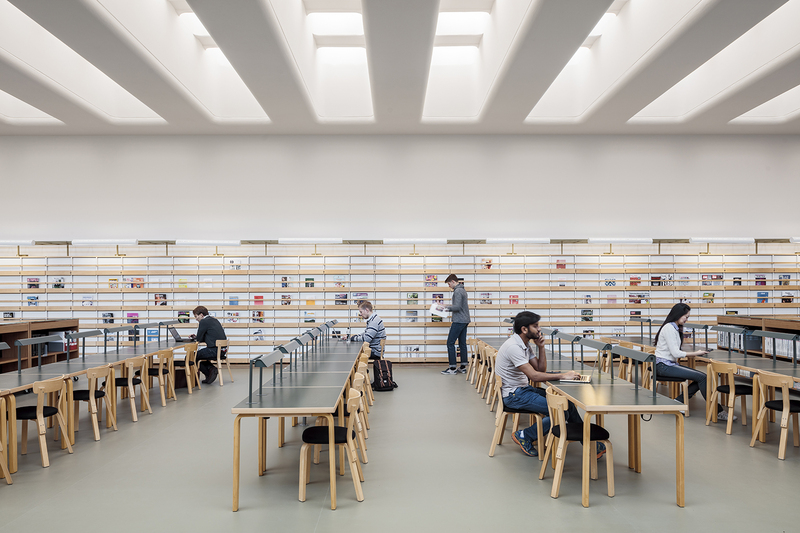 The renovation was carried out with respect to the original plan, in cooperation with the National Board of Antiquities and the Alvar Aalto Foundation. 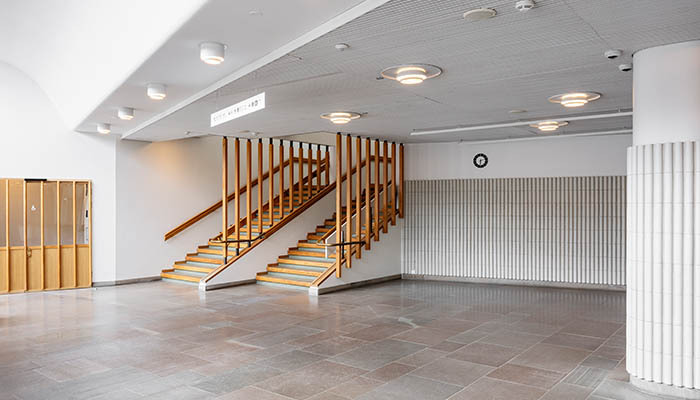 The building features beautiful features of Alvar Aalto's design, such as the fan-like shape of the building and the masterful use of indirect light. There are two charging points for electric cars in the parking lot next to the building. Harald Herlin Learning Centre is named after Bror Harald Herlin (1874–1941), a Finnish engineer, entrepreneur and industrialist. His life's work combines technology, finance, planning and entrepreneurship.